Dr. Satchit Balsari is assistant professor in emergency medicine at Harvard Medical School and Beth Israel Deaconess Medical Center. Since 2009, he has been a fellow at Harvard FXB, where his research has contributed to advocacy on behalf of vulnerable populations affected by disasters and humanitarian crises. Until March 2017, he served as Director of the Global Emergency Medicine Program at Weill Cornell Medical College/NewYork-Presbyterian Hospital. His interdisciplinary interests in mobile technology, disaster response, and population health have been informed by his clinical practice in New York City and his field work around the world. His research has resulted in innovative applications of mobile, cloud-based technology to address public health challenges in mass gatherings, disasters, and humanitarian crises. 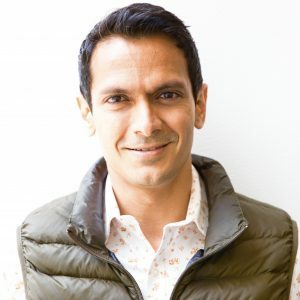 Balsari’s signature initiatives include project EMcounter (a customizable, portable digital surveillance tool, the latest iteration of which was used at the world’s largest mass gathering, the Kumbh Mela in India) and Voices, a crowd-sourced, online disaster response analysis tool. In 2018, in collaboration with Professor Caroline Buckee (Epidemiology), he co-led the Hurricane Maria Mortality Study. At Harvard, Dr. Balsari co-teaches a university-wide course “Entrepreneurial Solutions to Intractable Social and Economic Problems,” led by Professor Tarun Khanna, director of Harvard’s Mittal Institute; and “Societal Response to Disaster and War,” with Professor Leaning at the Harvard T.H Chan School of Public Health. Dr. Balsari also currently leads a university-wide initiative, the India Health Data Net, funded by a seed grant from the Provost’s office. In March 2017, Pranab Mukherjee, President of India, awarded him India’s highest honor in medicine, the Dr B.C. Roy National Award for “outstanding services in the field of sociomedical relief.” Dr. Balsari has also been an Aspen Ideas Scholar (2016) and an Asia 21 Fellow of the Asia Society. Dr. Balsari received his medical degree from Grant Medical College in Mumbai, India and his public health degree from Harvard; he completed his emergency medicine residency at Columbia and Cornell’s NewYork-Presbyterian Hospital.